Chef Rohan D' Souza has travelled across the world and experiment different cuisines to serve unknown exotic flavours with a twist to Indian consumers. 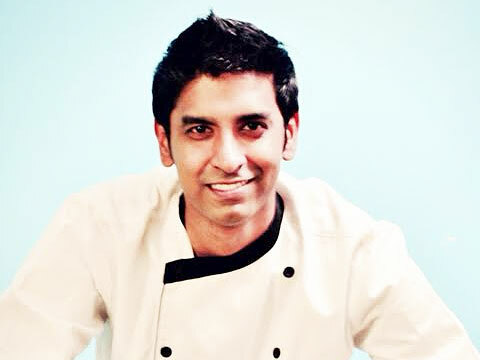 Talking to Restaurant India, he reveals his strategies while playing with \'Eurasian\' flavours. As per your observation and experience, how international cuisines are helping the Indian restaurants to grow manifolds? Modern, global cuisines are adding a new and wide variety to our menu. It gives diverse options to the consumers to choose from, and giving them experience of global habitat. Tell us about your journey of turning a restaurateur from a chef? I am still a chef, as am very much involved in the kitchen still. My work is to play with flavours, decide menu of my restaurants, focus on ingredients and deliver the best quality food. I have worked on cruises with world class chefs and celebrity cooks in the kitchen, learning techniques of global menu. It was during those years, when I came to India on a vacation, and found that even Indians have developed taste for global cuisines. Thus, I partnered with a friend here and started my first restaurant in Bangalore. How difficult it is to manage a restaurant, being a chef? It is very difficult for a chef to manage a restaurant because only a chef is familiar with the technical detailing of the cuisine in the menu. A chef can easily manage the kitchen alone, but he cannot manage the other contributing processes and operations involved in running a business. What according to you is the latest trend in Indian F&B industry? Indian F&B industry is growing, but in cities, that too in metros and in big towns where people are willing to experiment. Global cuisine is being adopted by them easily, whereas in tier III and IV cities, consumers still prefers the authentic snacks and traditional food. On the other hand, the trend of restro-pubs is high on demand in India where street food snacks have made a place in the 5 stars restaurants’ menu. At the same time, many restaurants are twisting local Indian flavours in their kitchen to introduce new avtar or form to the authentic one. So, we can say that going global is the new trend. You are known for playing with European and Asian flavours, giving it a new fusion name ‘Eurasian Cuisine’. So, what are the techniques you apply to twist the two different cuisines to make it? I take the best food or cuisine from Europe and mix Asian flavours in it. I mix the spices, ingredients and cuisines of a region with other to prepare best ‘Eurasian’ food. What strategies you adopt in delivering high class food in a contemporary ambience? With so many restaurants and cuisines entering Indian market, you have to keep your prices moderate enough to increase the footfall of your restaurant. Another important thing is to deliver quality food and never ever compromise on cost and quality of the ingredients used to prepare a dish. Moreover, location plays a pivotal role, which helps you make your own identity and build name of your brand in the market. These are few top strategies that we are using in our restaurant. I do not believe in marketing my product- Keswani..